The general goal of thoughtful and carefully-crafted estate plans is to leave a legacy to those left behind that represents the hard work performed by the deceased to amass the assets left to distribute and to ease the financial burden of loved ones once a person is gone. Proper estate planning documents are vitally important, but attention must also be paid to protecting the assets from creditor claims. This might include not only the debts that have been knowingly accumulated, but also potential unplanned liability from automobile accidents or medical bills. 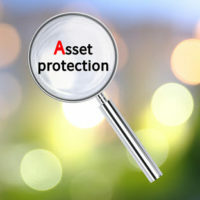 Instituting asset protection considerations into an estate plan is a very important part of the process. This entails examining the titling of all assets, beneficiary arrangements, the use of insurance, the types of assets owned, planning for the potential need for long term care, and the use of gifts or trusts. Concern about retaining a positive financial legacy for one’s descendants is common worry of any parent, and there are steps you can take to ensure your children and grandchildren get the greatest benefit from your lifetime of work. William Rambaum, P.A. specializes in elder law issues, and understands how protecting your assets becomes a more urgent concern in later years. Contact his Oldsmar office today to schedule a consultation, and learn how his thorough approach produces an estate plan that will serve your needs and those of your children.